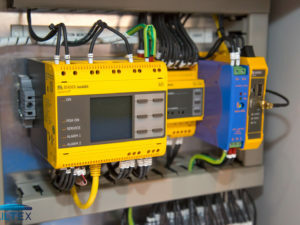 Bender UK is an expert in electrical safety for rail applications and is an approved Network Rail supplier of Signal Power Fault Detection Systems used in trackside signal boxes, signal systems and trackside power installations. 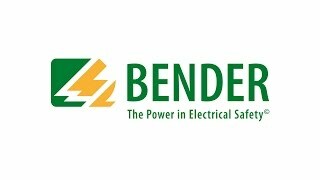 Electrical safety solutions developed by Bender, deliver continuous monitoring of the rail electrical infrastructure – immediately identifying earth faults and insulation failure. Rail operators are responsible for ensuring the safety of the UK’s rail networks and maximising the availability of thousands of miles of tracks every day. It is essential that these network operators are provided with advanced warning of developing problems which can cause train delays which result in significant financial penalties. Bender is an established supplier of rail signalling protection solutions. For almost two decades, these devices have continuously evolved and developed with new technology advancements. The new and improved RS4 device is based on the earlier variant of the RS3 which proven in use by Network Rail delivering vital information on the status of power supplies. Now smaller and more compact in size the RS4 will be supplied tested and ready for easy ‘plug and play’ installation and commissioning alongside existing power infrastructure systems up to AC650V.It is easily interchangeable with the present RS3 and RS2 units to upgrade performance at an affordable cost. It is the first system to incorporate as standard GSM- enabled data loggers equipped for real time direct communication with the Intelligent Infrastructure. It also delivers enhanced reliability and simplified installation and commissioning. The RS3 system’s ability to immediately identify the location of the fault means maintenance teams can respond more rapidly, enhancing safety and reducing downtime costs. Bender has developed portable technology to enable trackside insulation monitoring. 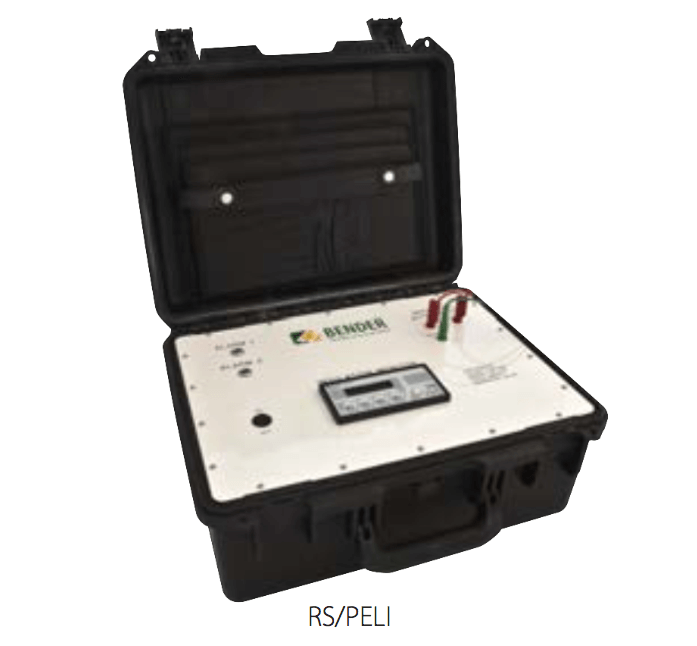 The hand-held RS-PELI portable insulation monitoring unit is designed to measure and analyse specific sections of the power network to prioritise installation programmes. The unit is self-powered through connection to the trackside signal electrical network and delivers live monitoring of the system status to immediately indicate if there is an earth fault and the status of the insulation. It can also be used to provide independent verification of the installed RS system performance. The EDS3065 portable earth fault location system can be used to precisely locate feeder earth faults line side, allowing the repair process to be carried out more quickly, minimising disruption to rail traffic and reducing system downtime. The handheld unit is designed to pinpoint a network earth fault to a specific cable or transformer by detecting the test signal from the RS3 system, and does not require the cable or transformer to be disconnected. The unit clamps to the cable to carry out the evaluation enabling spot checks to discover whether a fault is present in addition to pinpointing faults identified in the vicinity. The RS/IMD425 provides insulation monitoring and earth fault detection for trackside signal power systems up to AC 300V. The unit provides engineering teams with vital insulation resistance data that enables planned maintenance at an early stage of system deterioration, avoiding unplanned shutdowns and optimising track availability. The RS/IMD265 provides insulation monitoring and earth fault detection for trackside signal power systems up to AC 650V using single feeder cables. The unit provides engineering teams with vital insulation resistance data that enables planned maintenance at an early stage of system deterioration, avoiding unplanned shutdowns and optimising track availability. The handheld unit is designed to pinpoint a network earth fault to a specific cable or transformer by detecting the test signal from the RS3 system, and does not require the cable or transformer to be disconnected. The unit simply clamps to the cable to carry out the evaluation enabling spot checks to discover whether a fault is present in addition to pinpointing faults identified in the vicinity.